Each year a contingent of the M.N.R.C. attends the annual UK caving conference, Hidden Earth. Hidden Earth runs over a weekend usually at the end of September, with various events taking place. These include photographic and art competitions, the speleolympics, talks and lectures and a well stocked trade hall including stalls representing many UK caving organisations. The M.N.R.C. 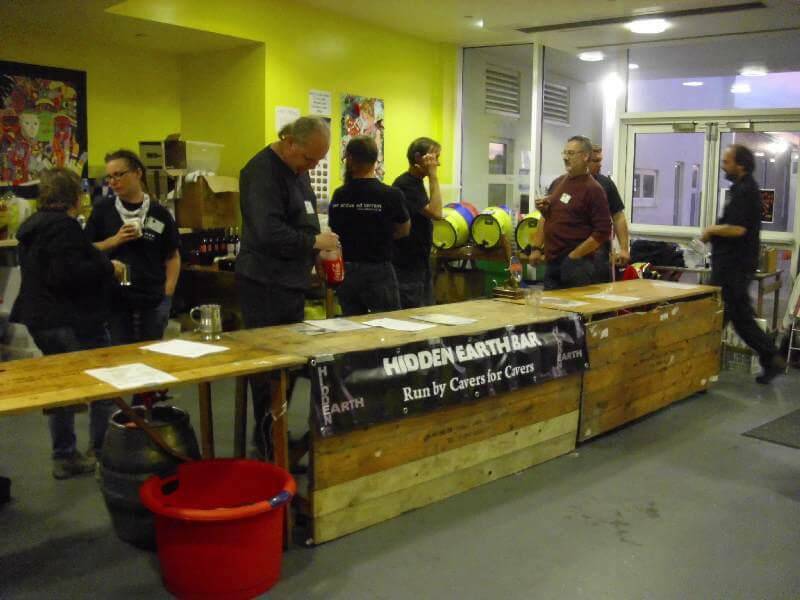 volunteers to run the Bar(s) in support of the conference and it has become a considerable source of pride that we have never run out of beer - a notable achievement, as those who are familiar with the UK caving community will know!